The City of Harrisonburg supports the controlled use of social media outlets by its offices and departments for the purpose of facilitating two-way communications with its residents, visitors, and employees. Address the fast-changing landscape of the Internet. Monitor and respond to hot topics and emerging issues quickly. Open up government to encourage citizen participation, strengthen our democracy, and support a civic culture. Identify trends before they take off. Listen to residents, visitors, and customers – enabling the City to improve City services, programs, practices, etc. Expand communication tools with a vast distribution system for content, while broadening and engaging new audiences. All official City of Harrisonburg presences on social media sites or services are considered an extension of the City's information networks and are governed by the Human Resources Policy Manual. This policy applies to, but is not limited to, all City departments, teams or groups who create, post, moderate or maintain Internet-based communications pertaining to City business. It covers individuals who are full-time or part-time employees, interns, seasonal workers, volunteers, consultants, contractors, constitutional officers, or other entities who have been contracted or authorized to perform work on behalf of the City of Harrisonburg. This policy does not address the personal and private use of social media by City employees. All official City of Harrisonburg presences on social media sites or services are considered an extension of the City's information networks and are governed by the City Communications Policy (Human Resources Policy Manual, Section 12). Social media examples include, but not limited to Web feeds, blogs, wikis, photo sharing, video sharing, Facebook and Twitter accounts, etc. All requests for new social media platforms must be coordinated through the department's Web editor, the City webmaster, and the City Public Information Officer. Identify the goal you are trying to achieve. Make sure this is the best solution to help achieve your business goal. A social media presence should be second priority to the City website. In most cases, content should link back to the City website for more information. Some City departments already have well-established, successful social media presences; ask them about their experience and get their advice. Departments are ultimately responsible for establishing, publishing, and updating their pages on social media sites. Employees should be mindful of blurring their personal and professional lives when administering social media sites. The City may monitor content on City social media websites to ensure adherence with the guidelines in this document – and ensure consistent citywide messages. The webmaster and Public Information Officer retain the authority to remove pages or close sites if necessary. Identify your social media site as "an official Harrisonburg City site". All official City presences on social media sites or services are considered an extension of the City's information networks and are governed by this policy. Take note of Term 5, to state in a prominent location: "If you are looking for more information about [Government Entity], please visit [website URL]." Requests for use of City social media sites shall be made through the Social Media Request Form (found through the City's intranet or by contacting the Department of Information Technology, and attached) and include a detailed reason for use, point of contact, and a subject matter expert who will be responsible for regularly reviewing comments and posting feedback. The webmaster and Public Information Officer will review requests to use social media outlets and help departments reach their stated goals by assisting in developing appropriate uses for social media, selecting the appropriate social media outlets, and helping maintain consistency in engagement using social media. A social media presence should be second priority to the City website. Posts should be brief and wherever possible have links that direct users back to the City's official website for more information, forms, documents, or online services necessary to conduct business with the City of Harrisonburg. Posts should avoid jargon and terminology used by City employees unless explained in the post. Comments not topically related to the post being commented upon. Anything which a person of reasonable sensitivities may find to be offensive. Matters in litigation or otherwise in dispute, or that could be in the future. Non-public information of any kind. References to illegal or banned substances and narcotics unless for public educational purposes. Pornographic, sexually-oriented, otherwise offensive or illegal materials. Defamatory, libelous, offensive, or demeaning material. Don't engage in a combative exchange. Comments supporting/opposing political campaigns/ballot questions. Information that might compromise the safety or security of public buildings or activities. Disparaging/threatening comments about or related to anyone. Personal, sensitive or confidential information of any kind. 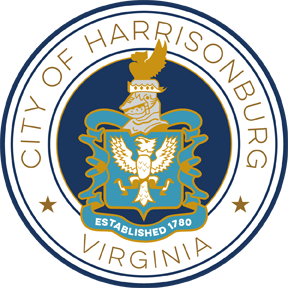 The comments expressed on City social media accounts, other than those posted by the City of Harrisonburg, do not reflect the opinions and position of the City of Harrisonburg or its officers and employees. The City of Harrisonburg encourages the use of social media to further the goals of citizen engagement and education where appropriate. The City strives to respond to comments within 24 hours during normal business days. Promoting particular services, products, or organizations. Infringement on copyrights or trademarks. Violations of City of Harrisonburg policies. To maintain consistency, only identified subject matter experts, the webmaster and the Public Information Officer are authorized to post information on City social media websites. Employees representing the City via social media outlets must conduct themselves at all times as representatives of the City. Subject matter experts are to make frequent and regular updates to their department's social media account. The subject matter expert should be knowledgeable about the topic to be posted and able to answer questions about the subject that may be posed by the public. The City webmaster is to be made administrator of all City social media outlets. The webmaster is not responsible for posting content on each department's social media website, but is administrator so the account is always accessible to the City. The webmaster will serve as a backup to the account to post content and remove former social media administrators, in the event of a subject matter expert or Web editor leaving their position with the City. The webmaster is responsible for making regular posts to the main City social media accounts. Social media outlets allow the City to further the goals of citizen engagement and education by interacting with citizens in the event that they have a question or comment about information the City posted. The City strives to respond to comments within 24 hours during normal business days. The designated subject matter expert is responsible for regularly monitoring and reviewing comments and posting feedback. In the event a public comment needs to be removed due to aforementioned reasons, the subject matter expert must take note of the comment and when it was made and remove the comment. The City webmaster is responsible for regularly monitoring and reviewing comments made on the main City social media accounts and posting feedback to the comments. In the event a public comment needs to be removed due to aforementioned reasons, the webmaster must take note of the comment and when it was made and remove the comment from the main social media accounts. For photographs posted to social media outlets utilized by the City. Web editors posting photos of residents and visitors in Harrisonburg must make sure each prominent person in the photograph has signed a photo release form. Photo release form may be found by contacting the Public Information Officer, DIT, or on the City's intranet. When the City webmaster posts photos of residents and visitors in Harrisonburg, they must also make sure each prominent person in the photograph has signed a photo release form. The City recognizes the potential and likelihood for new social media outlets in the future. This policy applies to currently utilized social media accounts as well as future social media outlets. The City Web Team (made up of the City webmaster, Web editors, and Public Information Officer) shall approve of what social media outlets may be suitable for use by the City and its departments. Any form of Web 2.0, user-interactive, social engagement website to be used by the City must adhere to this policy. The creation of a social media account must follow the steps listed in the "Creation of a Social Media Site" section of this policy. Employees have no personal privacy right in any communication or document created, received, or stored on social media applications.